Marketers aim at generating leads and driving purchases for a product or service. Today, marketing and promoting such things on Twitter and Facebook is not something new. Now a new tool called Lead Generation Card, which will be a boon for Marketers is all set to take marketing on Twitter to a whole new level. What is Lead Generation Card? Twitter Cards allow you to bring rich experiences and useful tools to users within an expanded Tweet. The Lead Generation Card will make it easy for users to express interest in what your brand has to offer. Users will be able to easily and securely share their email address with a business without leaving Twitter or having to fill out a cumbersome form. 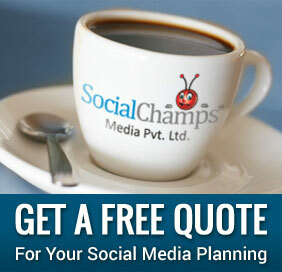 When Tweeters expand your Tweet, they will see a description of the offer and a call to action. Their name, @username, and email address are already pre-filled within the Card. The interested user can simply click a button to send this information directly (and securely) to you. Is Lead Generation Card beneficial and helpful? 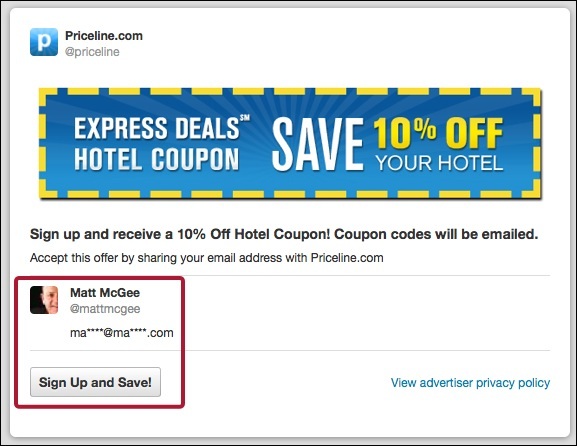 Twitter is testing this feature with brands, including New Relic (@newrelic), Full Sail (@fullsail) and Priceline (@priceline). The feedback has been positive with regards to how it helps to drive deeper connections with customers. Additionally, many beta participants noticed that the streamlined nature of the Lead Generation Card was instrumental in driving a low cost-per-lead compared to other technologies in their marketing suite. By now as you are aware and excited about this feature, I am sure, you would love to know the procedure of ‘Setting up the lead generation form‘. Just click here to learn the process.